Farrar Straus Giroux, 9780374346706, 197pp. 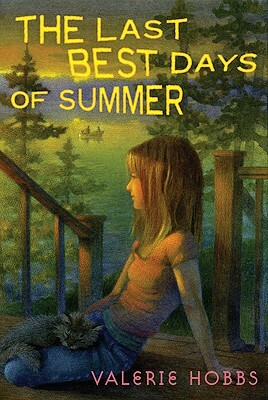 For twelve-year-old Lucy Crandall, the last week of August is the most perfect time in the world. It’s the week she gets to spend with Grams at the lake house, canoeing, baking cookies, and glazing pots in Grams’s potting shed. Grams has a way of making Lucy feel centered, like one of the pots on her kick wheel—perfect, steady, and completely at peace. But this summer, Grams doesn’t seem to be exactly the person she once was. And as the week turns into a roller coaster of surprises—some good, some awful—Lucy can’t help but wonder: Will things ever be centered again? Valerie Hobbs is the recipient of the 1999 PEN/Norma Klein Award, a biennial prize that recognizes "an emerging voice of literary merit among American writers of children's fiction." She is the author of young adult and middle-grade novels including Sheep, Defiance, and Anything but Ordinary. She holds a B.A. and an M.A. in English from the University of California at Santa Barbara, where she has taught academic writing. Valerie lives in Santa Barbara, California, with her husband.